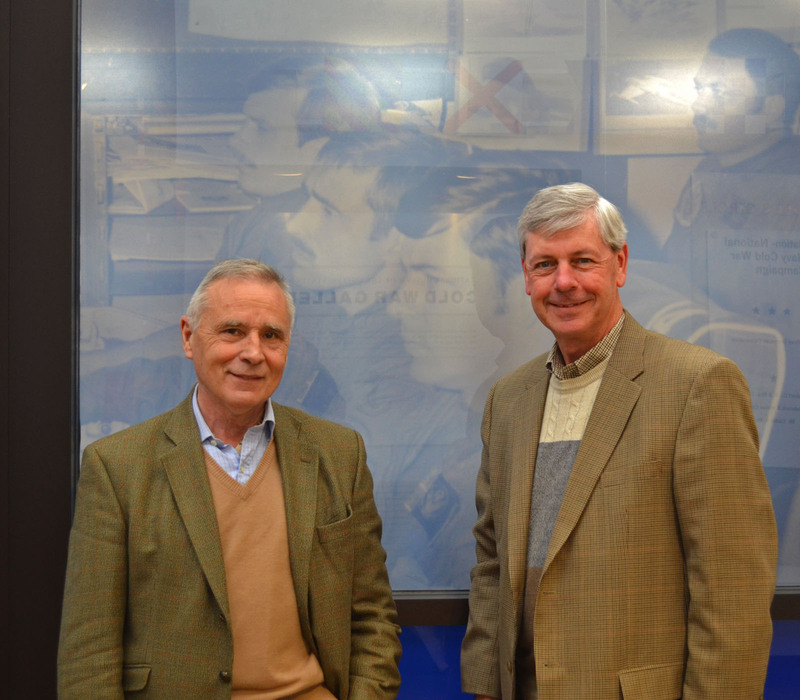 Retired naval aviators Captain Robert Feuilloy, FN, and Rear Admiral Steve Kunkle, USN, post in front of the glass mural outside the Ready Room Theater, which features a photo of them in VA 46 Ready Room aboard USS John F Kennedy in August 1976. 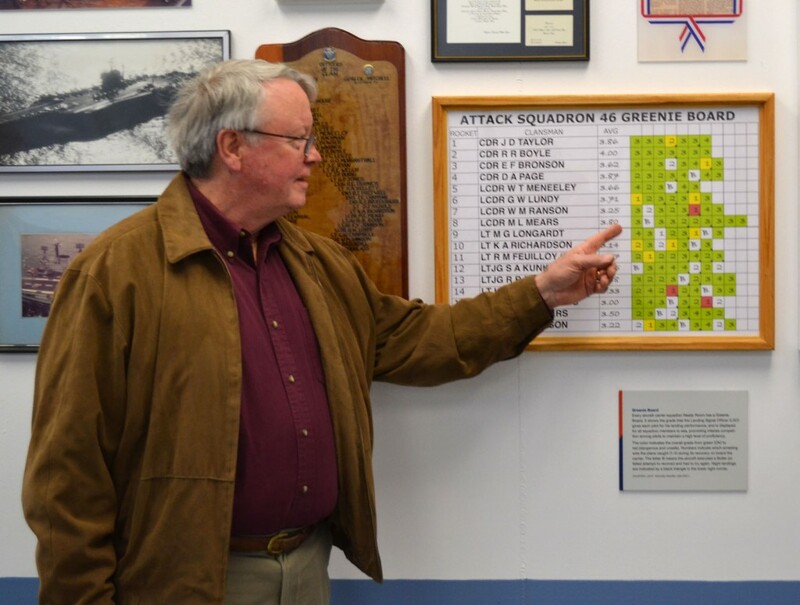 Captain Mike Mears, USN (Ret) poses with the Ready Room Greenie Board he built for display in the Cold War Gallery. 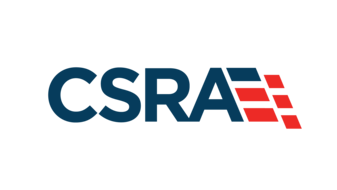 On 3 April 2013, three retired naval aviators paid their first visit to the Cold War Gallery at the Washington Navy Yard, to view some of the Navy Museum’s newest exhibits. Of particular interest to them was the Ready Room Theater, a replica of an aircraft carrier squadron ready room. The three aviators, Rear Admiral Steve Kunkle, USN (Ret), Captain Mike Mears, USN (Ret), and Captain Robert Feuilloy, FN (Ret), were given a tour by Captain Ted Bronson, USN (Ret), whose personal collection inspired the design of the Ready Room Theater. All four retired officers served in VA-46, “The Clansmen,” whose awards, memorabilia, and artifacts line the inside bulkheads of the theater. The three visiting aviators have a special place in the design of the gallery. Kunkle and Feuilloy are featured in an enormous photo mounted on the glass front of the Ready Room Theater. Mears built the Greenie Board on display inside the Ready Room Theater. 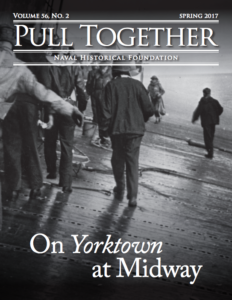 After watching the introductory video “The U.S. Navy and the Cold War,” all four retired Clansmen had a chance for a lengthy tour of the Gallery and its many exhibits. No mention on how/why Kunkle retired. Wasn’t particularly auspicious.